The Cariloha Bamboo Mattress ships free to your home, has a 100-night free trial, and a 10-year warranty - sleep soundly and comfortably for the next 10 years. Bedding, clothing and bath goods retailer, Cariloha, this week launched its Bamboo Mattress™ as part of its bedding suite, which includes mattress, sheets, pillows, duvets, and blankets – all made from luxuriously soft, eco-friendly bamboo. 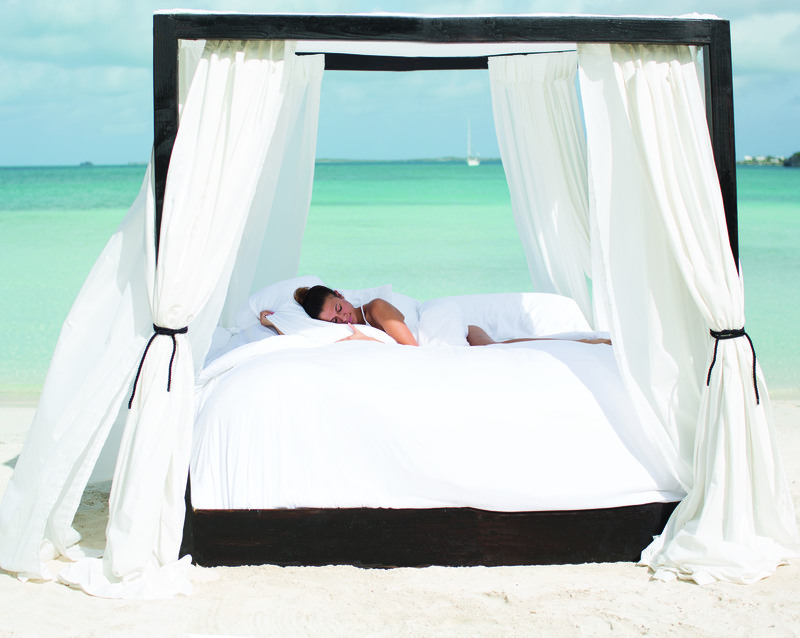 All mattress and bedding suite items are available exclusively in Cariloha stores and on Cariloha.com. The mattress industry is being completely disrupted, and there’s a current of mattress options sold online right now. No longer is it a scenario where customers walk into a huge furniture showroom, lie on a bunch of mattress options, and schedule delivery or use their own means to get their mattress home. Now, you can buy your mattress online and have it delivered right to your front door. “What we’re doing is offering one of the softest, coolest, cleanest, most sustainable materials on the planet – bamboo – both in the mattress foam construction and in the mattress cover, which is not being done anywhere in the mattress-bedding industry," said Aaron Hobson, Cariloha Executive VP of Marketing. Cariloha’s resort-quality mattress is designed to deliver a healthy, comfortable alternative for the eco and luxury-conscious customer, as it’s made of earth-friendly bamboo charcoal. Customers will experience a comfortable night’s sleep on a mattress that’s hypoallergenic, provides temperature management, and edge-to-edge sleep wedge support to prevent roll-off. "Seven to nine hours of restful sleep is vital for adults and creates the hormones necessary for increasing energy and improving focus,” said Dr. Brandon Nielsen, DC. “To enhance the quality of your sleep further, comfortable clean bedding is recommended, as it will dramatically improve your restorative sleep, which greatly reduces stress and your risk of high blood pressure, heart disease, a shrinking brain, obesity, diabetes, and brain fog." “Did you know that if you’re getting the right amount of sleep, you are spending a third of your day on your mattress? The quality of those eight hours is important, and your sleeping surface can make or break that quality," said Kim West, LCSW-C, the Sleep Lady. Look for the right balance of support and comfort—made of breathable materials—so you can make the most of the other two-thirds of your day." Cariloha makes buying a new mattress as easy as it is comfortable. It ships free to the customer’s home in a manageably sized box. Customers can then try it out free for 100 nights – no need to toss and turn over whether it’s the right mattress for them. Once they’ve fallen in love with the bamboo mattress, they can sleep soundly for the next 10 years thanks to Cariloha’s 10-year warranty. Naturally breathable, hypoallergenic bamboo charcoal memory foam is purified and carbonized in excess of 760° Celsius to then be harmoniously blended with innovative, visco-elastic memory foam for a comfier mattress. Works as a stabilizing system and gives customers 20% more sleeping surface, allowing them to sleep edge to edge without rolling off. It extends the life of the mattress up to 50% longer than non-wedge-support mattresses. Adapts to body shape, alleviating 95% more pressure off the body’s main contour points for more restful sleep. Improves airflow between the customer and the mattress, keeping it 3° cooler and helping retain the mattress’ ideal shape.